"Ashoka Chakra" on the base of "Lion Capital of Ashoka" which has been adopted as the National Emblem of India. The Lion capital of Ashoka is a sculpture of four "Indian lions" standing back to back. It was originally placed atop the Ashoka pillar at Sarnath. (Ashoka was an Indian emperor, of the Maurya Dynasty who ruled from from 273 BC to 232 BC). 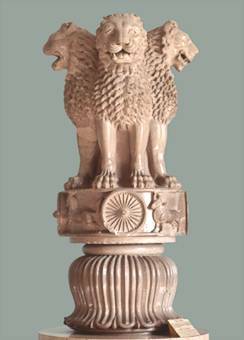 This Lion Capital of Ashoka from Sarnath has been adopted as the National Emblem of India and the wheel "Ashoka Chakra" from its base has been placed onto the center of the National Flag of India. 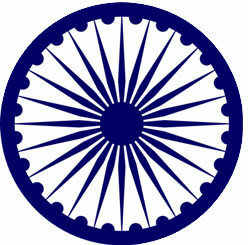 The wheel - "Ashoka Chakra" has 24 spokes and each spoke depicts one hour of the day, portraying the prevalence of righteousness all the 24 hour of it. "Bhagwa or the saffron colour denotes renunciation of disinterestedness. Our leaders must be indifferent to material gains and dedicate themselves to their work. The white in the centre is light, the path of truth to guide our conduct. The green shows our relation to soil, our relation to the plant life here on which all other life depends. The Ashoka Wheel in the center of the white is the wheel of the law of dharma. 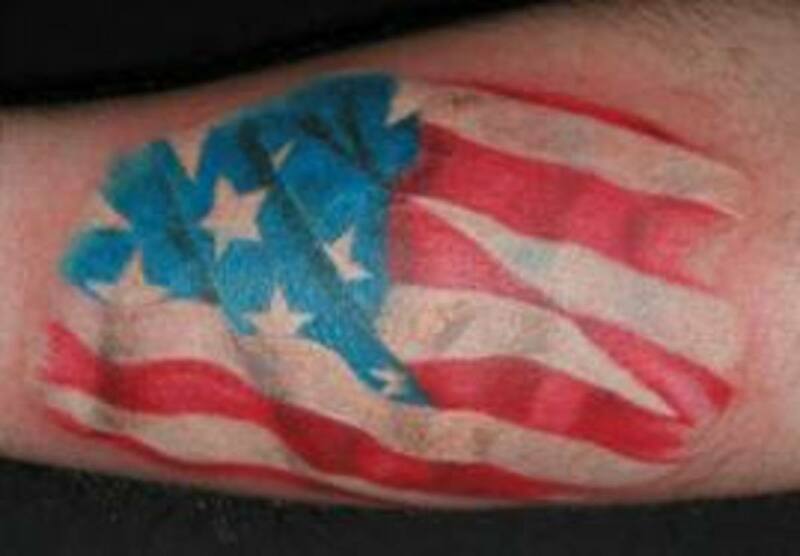 Truth or satya, dharma or virtue ought to be the controlling principles of those who work under this flag. Again, the wheel denotes motion. There is death in stagnation. There is life in movement. 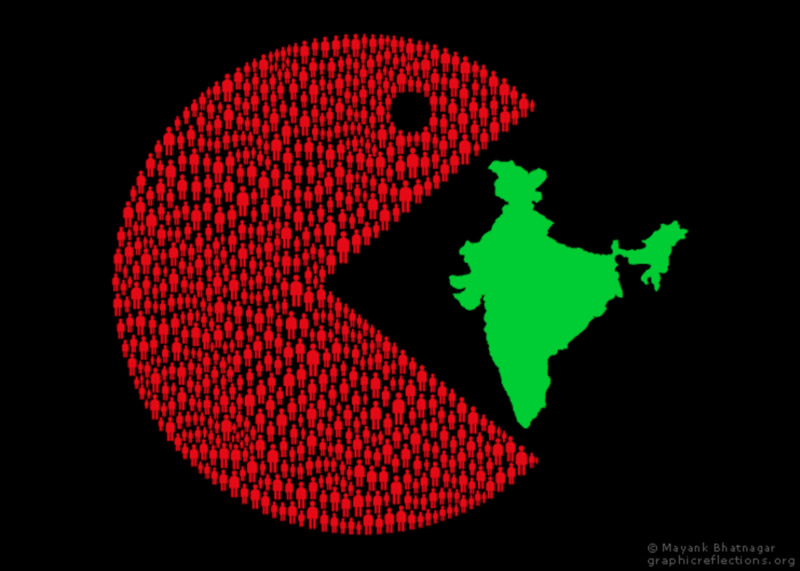 India should no more resist change, it must move and go forward. 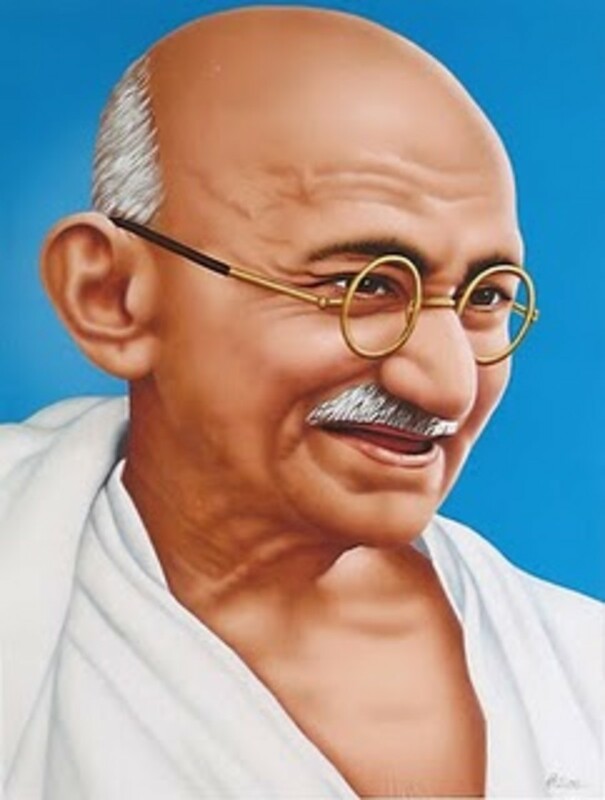 The wheel represents the dynamism of a peaceful change." Is a Cow's Life more Precious than that of a Human? sir thank you, its been a great pleasure to watch this significant page. OUR LATE lEADERS WERE EXCELLENT. dr. s .Radha krishnans explanation about the Flag is wonderful.Our National Anthem is very nice and Wonderful. But iam very sad about the present politians and third right leaders. They want to make money an do not have any feelings or respects to-wards our National Lederswho sarificed their lives for OUR INDIA and its people. 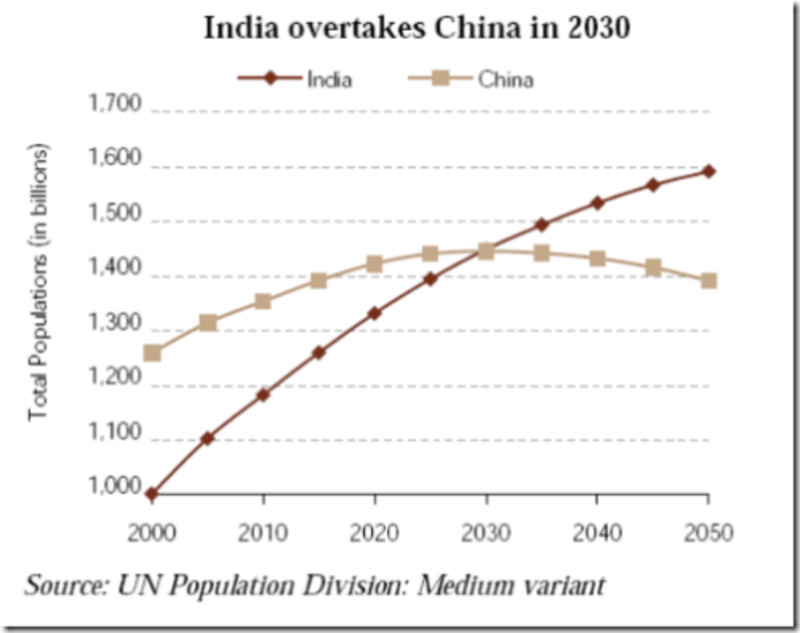 China is progressing fast they work hard and they are deciplined. Actually our tricolours represent Religionalism.."BITTER TRUTH". hi my name is kloe. - thank you so much for the information..
now i know what those spokes in the wheel represents.. I love India very much and the national anthem also very much. thanks for publising this information on the net. it was assingment for us by our teacher, to find out the same. now I will be the first person to tell teacher about this..
Information is fine but this explanation given by Dr. Ambedkar,great architect and father of Indian Constitution, before of Dr. Radhakrishanan,great Teacher and philosopher of India . Thanks with Loving -kindness, Jai Bharat ! i love my mother land india who makes me proud to be an indian. to day i have shaw the meaning of ashok chakra and 24 spokes. Great! I'm in a hurry so I'm lucky to view this page! Orange - thank you for that explanation. I had not appreciated the significance of the flag colours, which are unusual, as most national flags tend to the primary colours. What you say makes sense in the light of what I've read of Indian classical literature. And in the few months I spent in Mumbai, I can say that movement is of the essence!